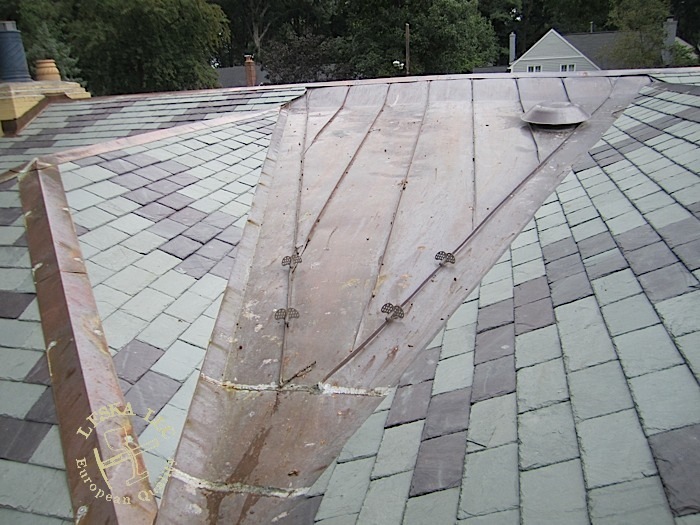 Extensive structural repair of damaged rafters, due to fallen tree. 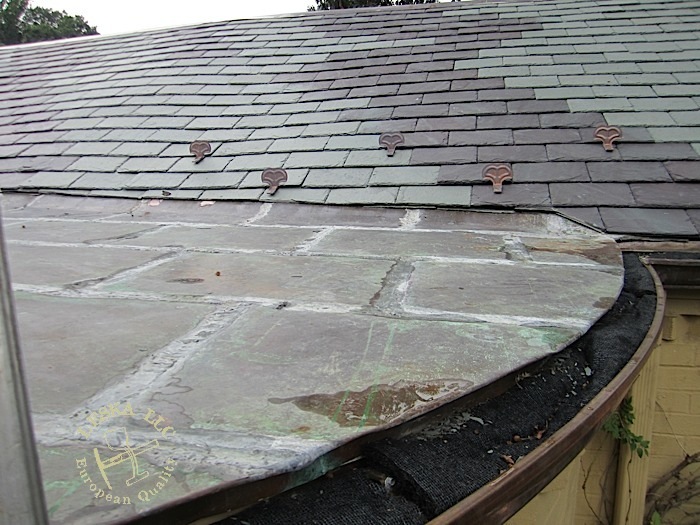 Carpentry. 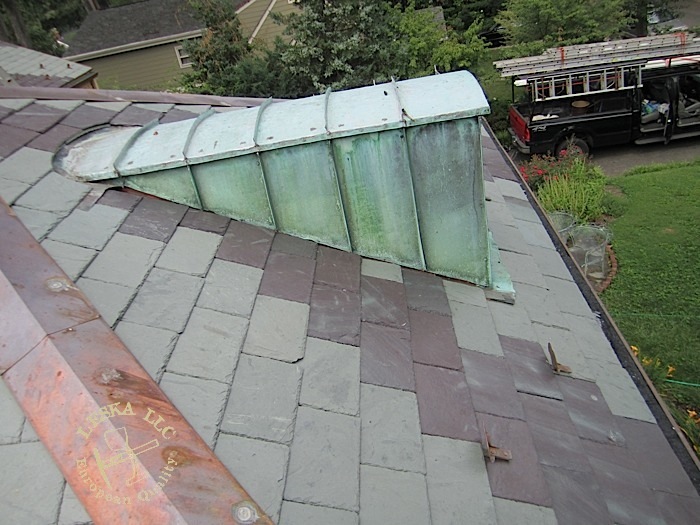 Copper flat seam at the front entry. 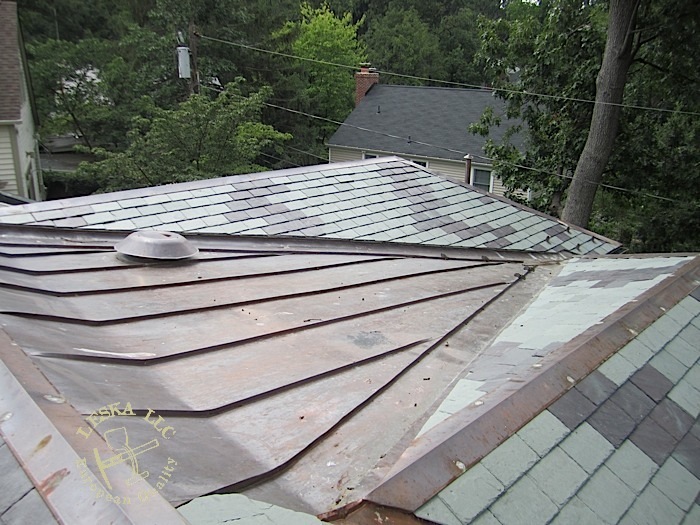 Copper standing seam roof with power fan at rear. 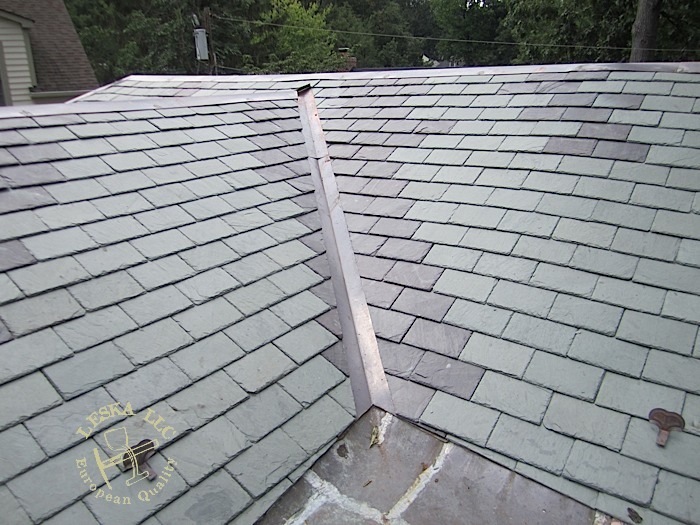 Unfading green slate and purple installed per customer desired pattern. 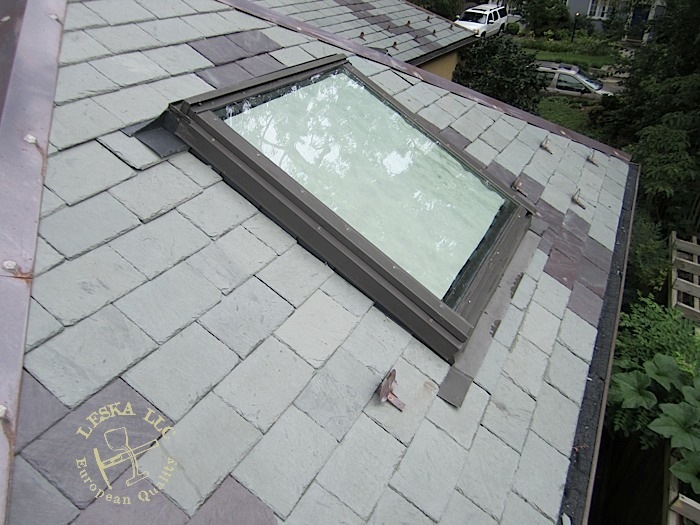 3 Skylights. 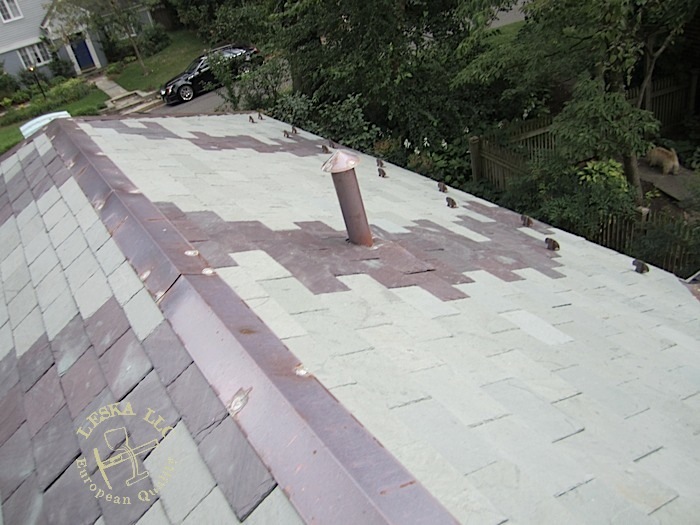 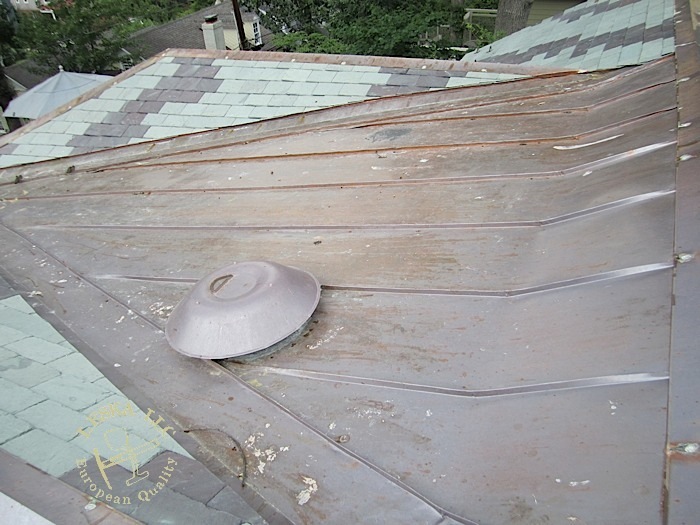 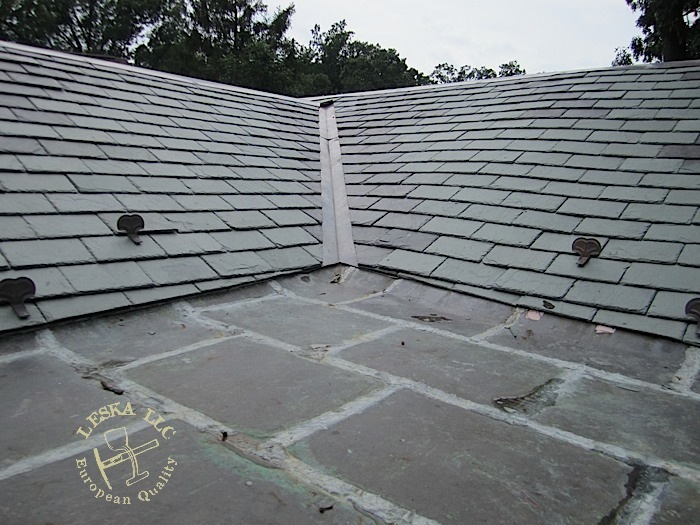 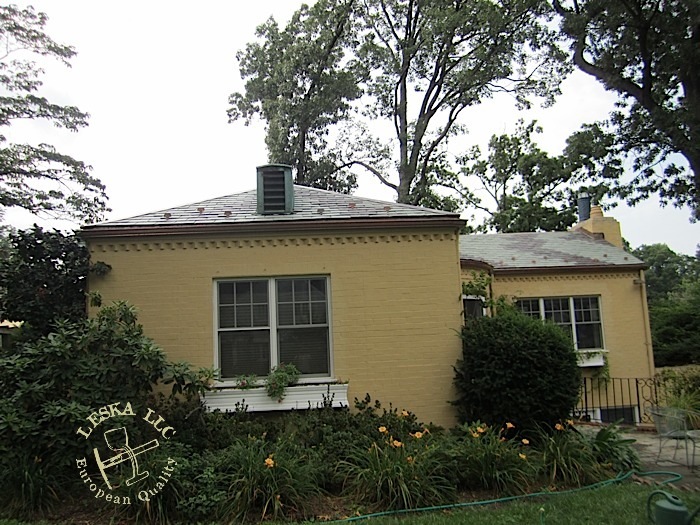 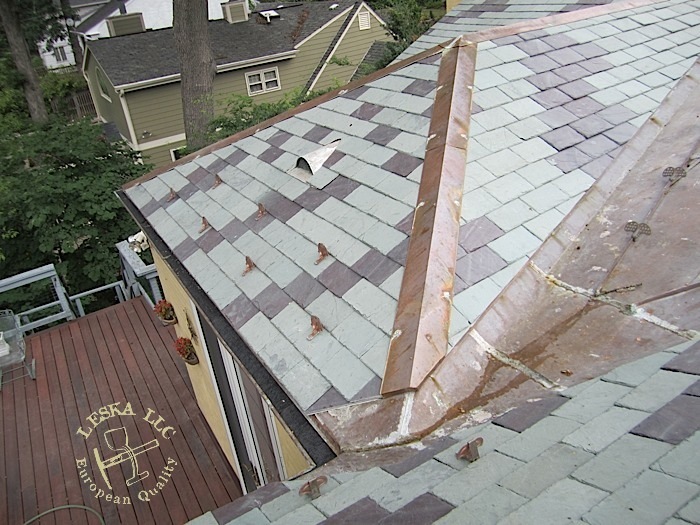 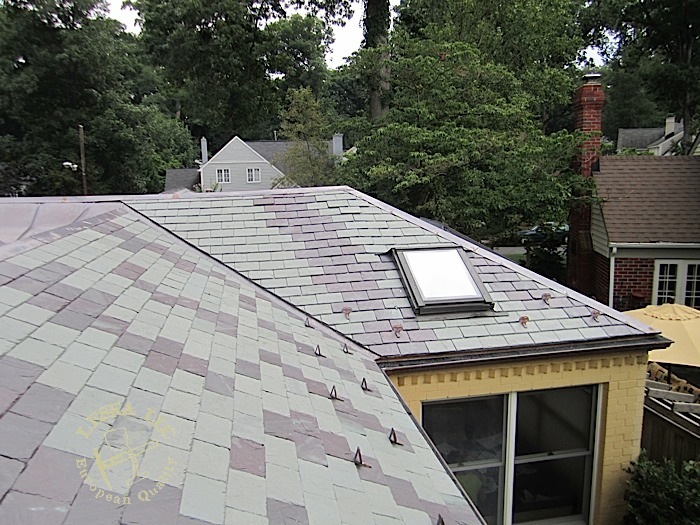 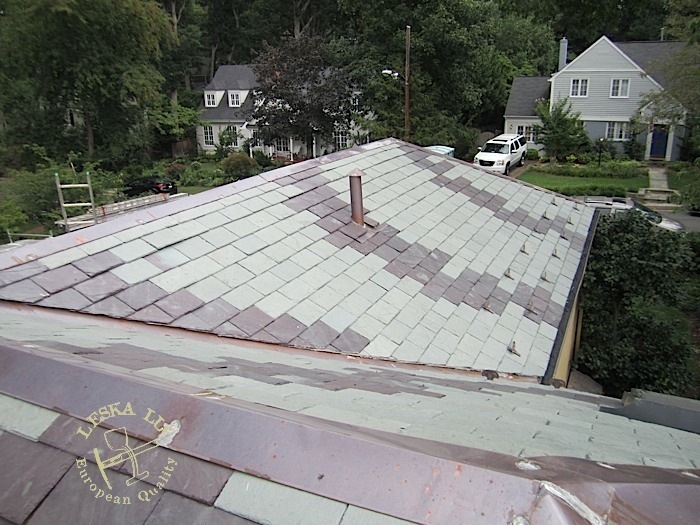 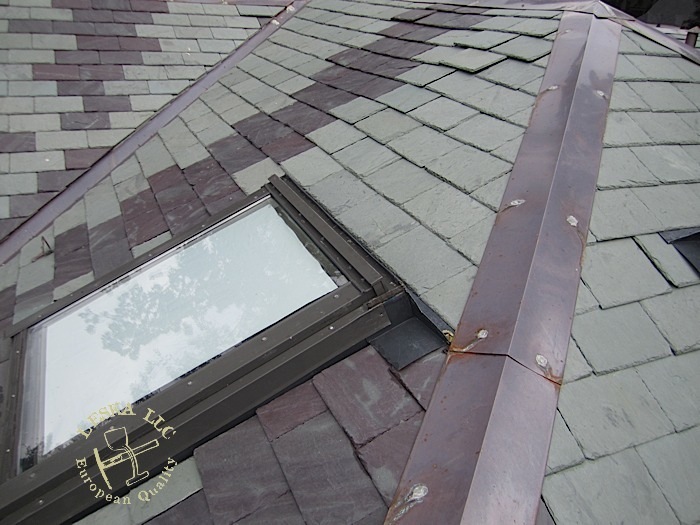 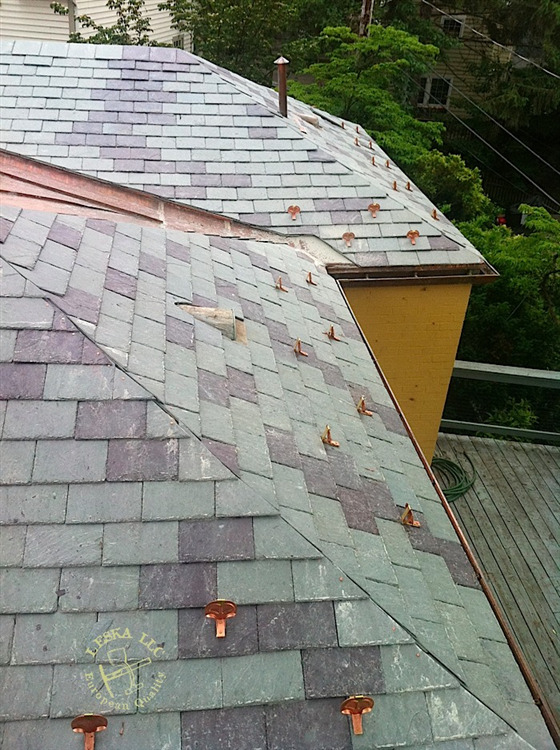 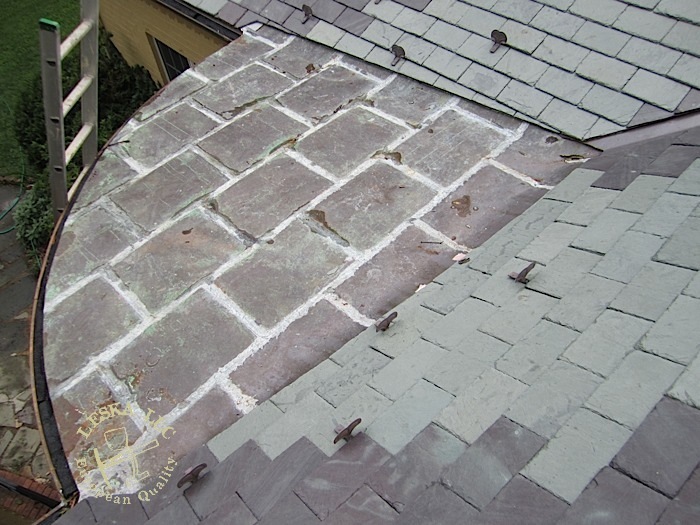 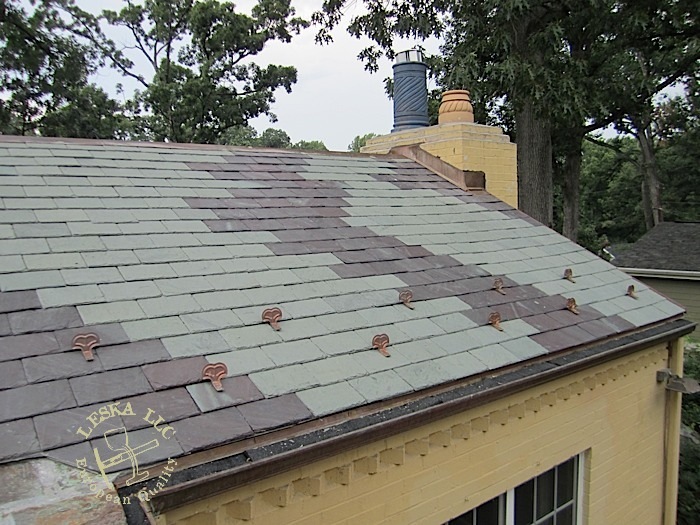 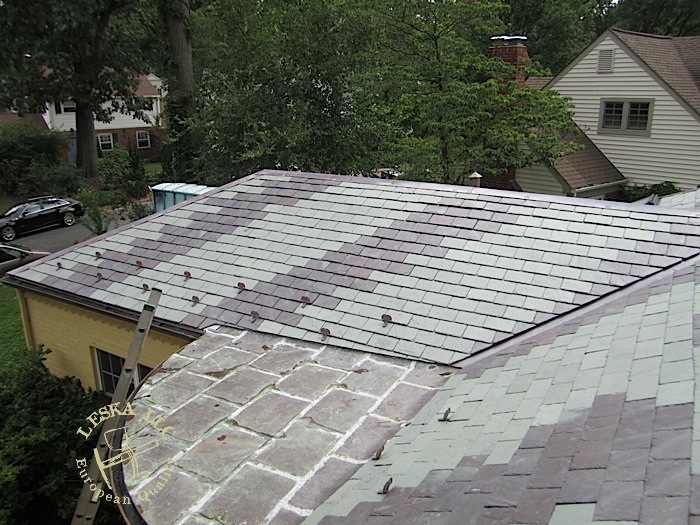 Two Rows of copper snow guards, and copper ridge cap were all installed by Leska. 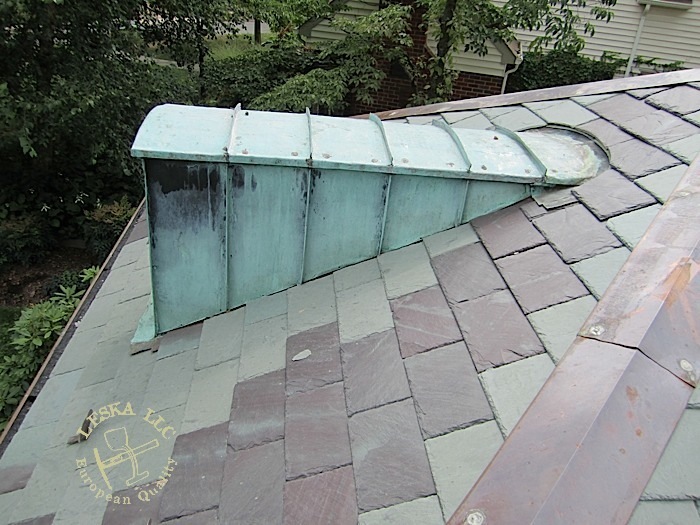 Seamless radius copper gutter and straight seamless gutters. 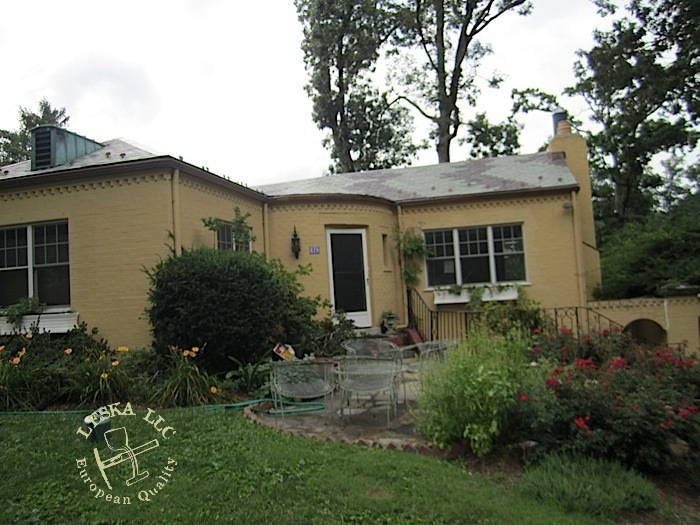 Leska was hired a second time to replace all deck baords on the porch and is schedule to complete new railing and posts. 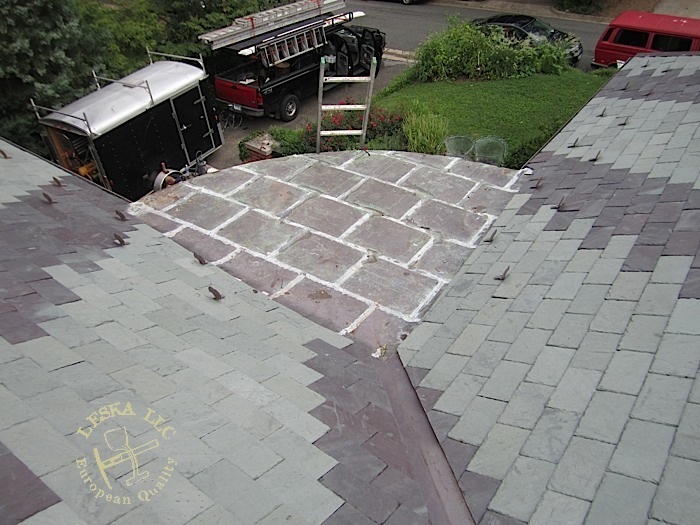 That's one happy client!